The release of a new Super Smash Bros. game always gets people hyped. And while the E3 Direct and playing the E3 demo accomplished just that, for me, Super Smash Bros. Ultimate was something to be excited for, but one that seemed a bit familiar. That is until earlier this month with the second SSBU-focused direct, which revealed a host of new information on the upcoming entry, and kicked things into high gear with the announcements of Simon Belmont and King K. Rool! Of course, being a series built on Nintendo’s history (or just plain video game history at this point), people always have their characters that they’d like to see make the Super Smash Bros. roster with every new entry. So far, the newcomers for Ultimate reads like a shortlist of winning selections: The Inklings represent a contemporary Nintendo franchise, Simon Belmont hails from the third-party franchise most synonymous with Nintendo’s early years (except maybe Mega Man), and Ridley and K. Rool have been among the most requested characters to join Super Smash Bros. for ages, so their inclusions feel like gifts for the fans. The following characters are the ones I’d most like to see be announced in the coming months to join the ranks of Super Smash Bros. fighters in Ultimate. I know, people might bring up that Sakurai has already stated there won’t be too many newcomers (outside of echo fighters) this time. But this list isn’t called “Five Characters Who Will Totally Make the Cut in Super Smash Bros. Ultimate in Addition to the Ones Who Have Already Been Announced.” It’s a list of the five characters I’d most like to see make it. Not expecting all five, but I like to think my top two picks have more than a fighting chance. The funny thing is I had originally planned to make this list before the last Smash Bros. Direct, but never got around to it. And since Simon Belmont and King K. Rool were originally going to be on this list, I had to change things up a bit after they were announced. Also, my list includes a mix of Nintendo characters and those of third-parties. Because honestly, Super Smash Bros. now has most of Nintendo’s most notable characters. There aren’t too many left that would make a big splash outside of an Assist Trophy. Kind of have to branch out at this point. With all that out of the way, here are the top five characters I’d most like to see become playable characters in Super Smash Bros. Ultimate. But first, a runner-up. Rumors are already spreading that Skull Kid may make the cut, partly because his return as an Assist Trophy hasn’t been confirmed. I’d like to think those rumors are accurate. However, the fact that Majora’s Mask’s ‘Moon’ is an Assist Trophy gives me some doubts, as that would be Skull Kid’s obvious Final Smash. But I guess they could make some kind of ‘Majora transformation’ his big move. Who knows. 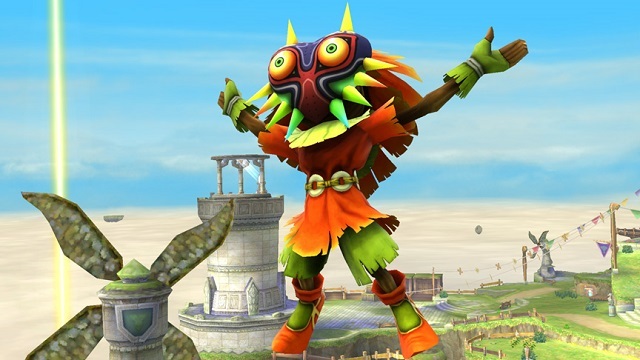 Anyway, Skull Kid would be a great addition for a few reasons: He’s the kind of character with potential for a unique moveset, he represents one of the most acclaimed Zelda games, and he’s a Zelda character who isn’t another version of Link. Admittedly, the duo of Midna and Wolf Link would be another awesome, out of left-field Zelda representative. But I think Skull Kid seems like the more popular option. And he kind of reminds me of a scarecrow, and scarecrows are awesome. Likelihood of making the cut: Not too shabby. And now for the top 5! Some people bemoan that there are “too many Mario characters.” But that’s a pretty dumb complaint, given Mario’s importance to Nintendo and gaming as a whole. I mean, if you go to Disneyland, you expect to see a lot of Mickey Mouse, Frozen and The Lion King, and not so much Treasure Planet or Atlantis: The Lost Empire. Also, Mario isn’t a singular series, but a franchise comprised of multiple series (platformers, RPGs, Kart, etc. ), and crosses over into other series like Donkey Kong and Wario (though the latter only with its titular character). It’s like Nintendo’s MCU. Point being, Mario can have as many characters as it wants, provided they warrant the inclusion. And I think Fawful warrants the inclusion. Now, that’s not to say that I think Fawful will make it into the game (except maybe as an Assist Trophy), but I’d be lying if I said his hypothetical announcement wouldn’t have me jumping for joy. 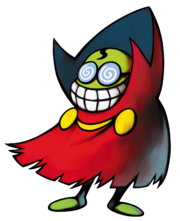 Fawful’s one of the few recurring Mario villains, and became a fan-favorite due to his status as being arguably the most bizarre character in what is a pretty bizarre franchise when you think about it. Sure, some might say Fawful hasn’t had a new appearance in nearly a decade (the 3DS remake of Superstar Saga wouldn’t count as “new”). But K. Rool hadn’t been seen for a full decade, so resurrecting characters isn’t exactly new to Super Smash Bros.
Ah, third-party characters already. Like I said, even with Nintendo’s long list of memorable characters, Super Smash Bros. has soaked most of them up by this point. So…third-party characters ahoy! Anyway, if Mega Man and Castlevania represent third-party games during the NES era, there’s no third-party characters that better represent the N64 era than Banjo-Kazooie (James Bond is a movie character, so Goldeneye 007 doesn’t count here). Look, I understand the difficulties of licensing in this scenario, with Rare being owned by Microsoft now and everything. 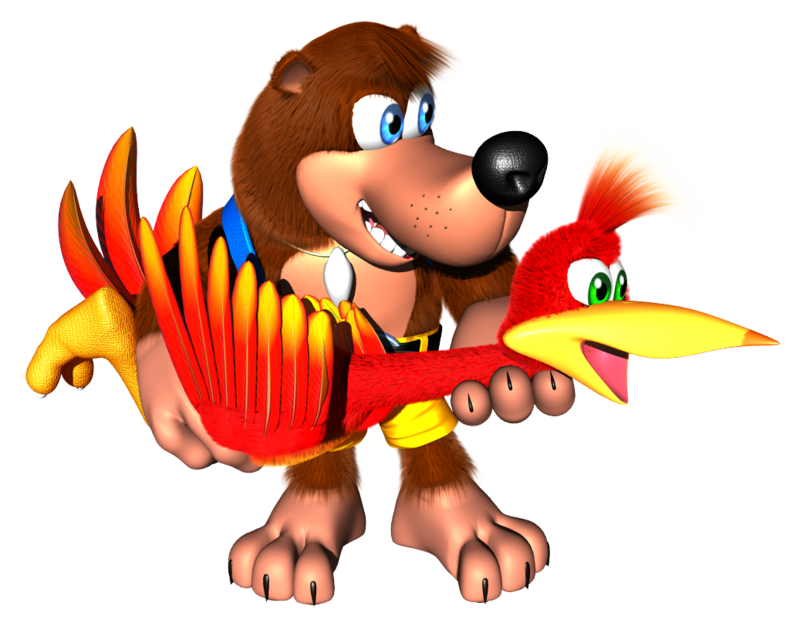 But Phil Spencer, the head of Microsoft’s Xbox division, has been onboard with the idea of the bear and bird duo being in Super Smash Bros. for years, as have the people at Rare itself. And of course we know the fans have been behind it. Still, the legal hoops do make this unlikely, but again, I refer you to the title of this list. Seriously, not only would Banjo-Kazooie represent a big part of Nintendo’s past (their history with Rare), but their moveset pretty much writes itself. Plus, we all just want to see Banjo and Kazooie again. Before you say anything about Dark Souls only now making it to Nintendo consoles, FromSoftware’s presence on the Switch was announced (along with several other third-parties) when the Switch itself was first announced. No doubt this involved Dark Souls Remastered, so there’s been ample time to implement it into Smash Bros. somehow. Not that I’m saying that is the case, but… why do I keep explaining myself? This is my Super Smash Bros. fantasy list! I can list what I want! Anyway, another aspect that might help Dark Souls chances is that Super Smash Bros. Ultimate, like the Wii U and 3DS entries before it, is in part developed by Bandai Namco. And who publishes Dark Souls? Bandai Namco. Point being, there are less legal hoops here. But who would they pick? Solaire of Astora seems to be the most common request (he’s also the one getting his own Amiibo), and has become the unofficial mascot of the series. But maybe basing a character off the player’s created character (the Chosen Undead) would be the way to go. I guess it wouldn’t matter who they pick, because the idea of Dark Souls having a presence in Super Smash Bros. at all is just too good. Oh, and to combat the people who say Dark Souls wouldn’t “fit in” with Super Smash Bros. Well, Metal Gear Solid and Bayonetta don’t exactly mesh with Mario and friends, yet here they are. Likelihood of making the cut: Not impossible, but I don’t expect it. And we’re back to Nintendo characters. Frankly, it astounds me that Dixie Kong still hasn’t made it into the Super Smash Bros. series after all this time. I mean, we’ve had far more obscure characters by this point, like the Ice Climbers, Palutena, hell, even Captain Falcon seems like an off-the-wall choice when you think about it. Yet, here we are at the fifth (technically sixth) entry in the series, and still no Dixie Kong. 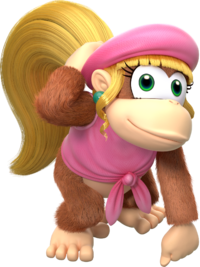 Being the tritagonist of the Donkey Kong series, Dixie Kong seems like she’d be an obvious addition to a franchise that seems surprisingly underrepresented in Super Smash Bros. Many people claim she’d make a good echo fighter of Diddy Kong, but I never understood that. Dixie Kong is, both in physical appearance and abilities, a very distinct character from Diddy. She should really be her own character, with her moveset being built around her prehensile hair. I was dead against the idea of Dixie Kong being wasted as an echo fighter. But seeing as I’m not totally greedy, and we actually got K. Rool (something we all wanted but never thought would happen), I’ve softened up a bit. Yeah, I’d still much, much prefer it if Dixie were a unique character. But at this point, I think it’s just important that she makes it in the game in any capacity. If she doesn’t, she’ll be pretty much the only notable Nintendo character not to be a Smash Bros. fighter (before you mention Waluigi, I said notable Nintendo character, not Nintendo character who happens to exist). Likelihood of making the cut: The only downside to K. Rool is that the chance of another new, unique DK character seems unlikely. But Dixie’s chances do seem better now that Sakurai seems to have remembered that the Donkey Kong series exists. What do Ridley, King K. Rool and Geno all have in common? For at least twelve years now, they’ve been the three most consistently popular requests to make the Super Smash Bros. roster. Well, Ultimate has delivered on Ridley and K. Rool. If this entry is going to live up to its name, Geno seems like the next logical step to that. Some people whine that Geno is “too obscure” and that he’s “only appeared in one game.” Apparently these people are unaware that the Ice Climbers were only in one NES game – which didn’t exactly have Mario or Zelda levels of success – before they made the cut. Ness, Lucas, and Dark Pit also were only in one game apiece. Hell, R.O.B. wasn’t even in a game, he was an NES peripheral! Point being, you don’t exactly need to be a household name like Mario or Pikachu to make it into Super Smash Bros.
Geno is another character who has a moveset that pretty much writes itself, and just has so much potential as a unique fighter. Notably, he would be the only character who would blur the lines between first and third-parties. He’s technically owned by Square, but the game he appeared in was a Mario game, so that’s gotta give him some brownie points. Not to mention Super Mario RPG remains one of the most beloved Mario games, which has lead to Geno’s popularity to be included in the Smash Bros. series. Perhaps even more notably, Masahiro Sakurai himself is a fan of the character, and has wanted him in Smash Bros. since Brawl was in development. We had to settle for a Mii Fighter Costume back in Super Smash Bros. on Wii U, but hopefully this time around Sakurai, and the fans, can get their wish fulfilled and we can finally get the real Geno as a playable character. With every past character returning to Super Smash Bros. 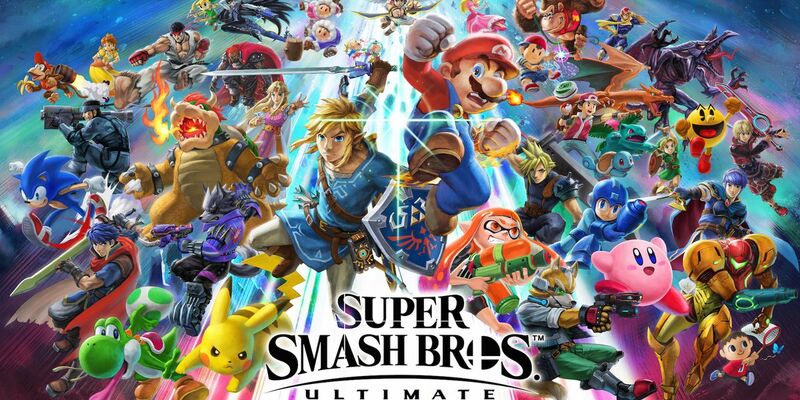 Ultimate, as well as some long-desired tweaks to the formula, additional modes, and some meaningful new character additions, Ultimate is off to a great start in living up to its name. But it seems like – following Ridley and K. Rool – Geno is one of the last few necessary pieces left to make this the ultimate Super Smash Bros. Likelihood of making the cut: They said Ridley would never make it. They said K. Rool would never make it. Geno becoming a Super Smash Bros. fighter actually seems like a realistic possibility now. Fingers crossed. Much as I’d like Solaire, I feel like he’d just play like another FE character. I have those concerns with the Castlevania characters too. Hmm, yeah, didn’t think about that. Last thing I want in Smash is another FE derivative. The Castlevania guys look decently unique so far, at least in regards to their special moves. Guess we have to wait and see for their standard attacks. The world would be a better place if those characters were in SSB, that’s for sure. Indeed, their inclusions would bring world peace. I feel at this rate asking for too much else would be greedy on my end for Ultimate, although I still think Banjo would be the perfect final newcomer just due to his significance back during the N64 days and how unlikely he seems without also feeling out of place (like how people get silly over something like say, Master Chief). Crono would have been nice as a 2nd Square rep, but I have never seen him being requested much nor does Square themselves seem to care for the series outside of a few re-releases here and there. 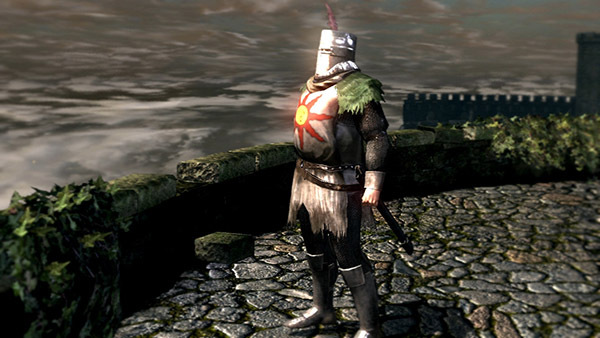 Solaire might be the least likely at a quick glance, but I don’t think he’s impossible, Souls might be the most iconic series Namco has right now after Pac-Man and probably Tekken (which IMO, would be a boring series to represent), and while Fawful would be cool (I’d only have gripe over more Mario characters from the core platformers as I feel after Rosalina and Bowser Jr. the basics for those are more than covered as it is right now), Nintendo seems pretty hesitant about giving much representation to the RPGs? At least Geno looks more likely given how much attention they have given to highly requested characters this time around. I’d probably say Skull Kid is the only leftover 1st party character Nintendo could announced that’d generate some significant hype (maybe some unrepped franchises that are somewhat known like Golden Sun or Advance Wars), because lets be real, Zelda had some of the worst treatment as far as fighters goes, 3 different versions of Link, Ganondorf as a clone because who knows, no real newcomers since Melee, and some people might make a case over how poor base Link and Zelda feel gameplay wise. Considering it’s arguably Nintendo’s most beloved franchise and probably 2nd only to Mario in terms of singificance, I think it’s only fair they get something better after all these years. I think my biggest wish is seeing more 3rd parties that might not be quite cut for a playable character represented in smaller ways, like a trophy or a music track. I know people seem to feel backstabbed over the likes of Bomberman or Shovel Knight being relegated to AT, but I think it’s still a nice way to aknowledge their existance. I agree, I’m happy Bomberman and Shovel Knight made it at all. Yeah, it would have been great if they were playable, but when they already said there’s only going to be a handful of newcomers, it makes sense that the ones who have been most requested forever (Ridley, K. Rool) would take priority. But the fact that they squeezed in Bomberman and Shovel Knight at all is impressive. I know rumors of leaks should be taken with a grain of salt, but seeing as some rumored characters have now been announced, and various sources have recurring characters show up, it does raise some interest. And given that Geno, Skull Kid, Banjo-Kazooie and Porky Minch have become are among those rumored characters, I’m hoping there’s some truth to them. Geno does finally seem like a realistic choice, given Ultimate’s emphasis on delivering fan requests, with the most requested being playable, and those thereafter becoming Assist Trophies. But it is weird how Nintendo doesn’t seem to acknowledge the Mario RPGs… I really don’t get it. I agree, the main Mario series is covered in terms of main characters, so I don’t know who else they could add there. They have Mario, Luigi, Peach, Bowser, Yoshi, Bowser Jr. and Rosalina (as well as DK and Wario, who Nintendo counts as their own characters, but they cross over to Mario enough). Also Daisy, if you count Mario Land a main entry. Not really anyone else to add unless we go to the RPGs. Zelda definitely needs better representation. Now that you mention it, you’re right. There’s not been a proper ‘new’ Zelda character since Melee! I get that it doesn’t have as many characters as Mario or Pokemon, but it still has more characters to work with. Zelda’s biggest problem is that it does have the basics covered (as bad as Ganondorf might be represented), and usually, the baddie of the day loses their chance once the next big game drops (be it Skull Kid, Midna or Ghirahim), so it’s a somewhat odd position to be in. Still, that’s why I think that after Ridley and K. Rool, a brand new Zelda character would be fairest 1st party choice despite the supposed more limited newcomer batch (which imo, would be best saved for significant 3rd parties like Simon if possible). While we are it, I don’t think Dixie can’t work as a brand new fighter, she’s definitely an odd omission as far as DK characters goes, but it’d at least be a way so increase her chances to be in, and to be fair, I could see her working with similar normals to Diddy, tails asides, it’s the specials where she’d need more touch-ups (particularly her neutral and up B). I’m not one to believe rumors, especially after Gematsu with WiiU, but Porky does feel like a weird choice given how small Mother is? Regardless, the rumor that probably hurts me the most is the prospect of not one, but 2 brand new Pokemon newcomers. I know it’s Nintendo’s most profitable IP, but even compared to series with big representation like Mario or the infamous Marth Emblem, there’s no real clear obvious choice among the 700~ something creatures that aren’t yet playable that’s super popular, so to spend that over series that could do with more characters or yet unrepresented series (1st or 3rd party) would feel like such a waste, as big as Corrin was for the final DLC wave in the last game (which honestly feels all the worse after Fates came out and it was a pretty big disappointment). I’m surprised that you didn’t have a Senran Kagura character on your list, as I noticed that you were a fan of Katsuragi and was surprised she wasn’t on here.